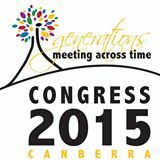 This entry was posted in Congress 2015, Irish family history and tagged Congress 2015, Keynotes by cassmob. Bookmark the permalink. I thoroughly agree with your choices and you have summed each one up so succinctly. Speakers who are passionate about their topics and deliver well, enhance the content and experience for the audience. Thanks Carmel – always hazardous to single out speakers but they were my favourites. Pauleen – Pleased you stuck your neck out. I heard Matt, Josh and Richard and agree that their content was thought provoking. I wish that Matt would have adlibbed a bit more instead of reading his talk. I gave myself a sleepin on Sunday because I had heard Michael present on this topic at a previous event. I was underwhelmed by a couple of keynotes and annoyed that one presenter gave a lecture that was practically the same as one he delivered at Congress in 2015. It was humorous the second time around and got many laughs but should not have been presented as a keynote. Thanks for your reply Jill. It’s always a difficult line to follow especially when presenting oneself…”people in glass houses” etc. Perhaps there’s a tip there for future congress planners to check what’s been “done” at previous Congresses. Luckily for me I wasn’t at Congress 2012 so that didn’t affect me. Perhaps it’s having seen a number of academic presentations but I am less concerned when people read their paper so long as they also engage the audience. The more depth to a paper the harder it is to just “talk to the slides”. It would be good to see the paper itself as well…not sure if it’s in the proceedings as mine are still en route with Australia Post.